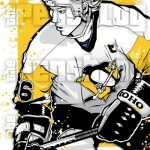 On one of my very first posts I raved about the artwork by Stephen S from thePensBlog. In the week or so since I posted that my feelings haven’t changed. I still find his work amazing. 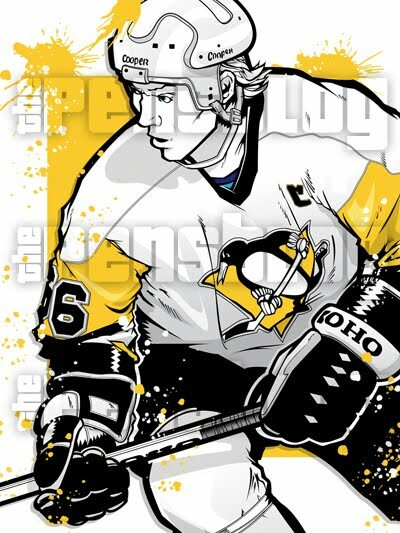 It combines a little piece of penguins history, with a classy piece of art at an extremely reasonable price. That all got even better today. Stephen now has a complete store in which to hawk prints of his work. In the store, which I have on some authority may change, you can buy framed and non-framed prints in various sizes. 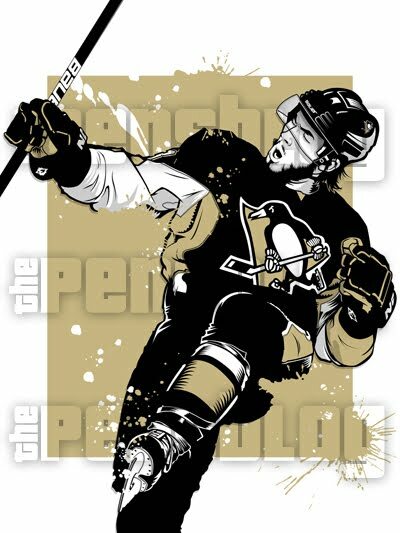 There’s ever multiple print packs, like the 2009 cup heroes pack which includes Crosby, Malkin, Fleury, Talbot, and Letang. 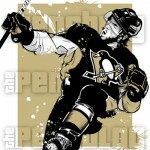 Or to readers of thePensBlog: Bing, Geno, Flower, Superstar, and Letang. Somehow ‘tanger doesn’t have an official nickname on thePensBlog Wiki. Stephens work is not limited to the obvious, current, fan favorites, but includes some old players that pre-87 (not the year) fans may not recognize. The obvious legends, Lemieux and Jagr, are there, but so are Paul Coffey and Kevin Stephens, all sporting the classic bright yellow uniforms. Here are a few of the works up for sale. In case you’re interested in checking out the prices or purchasing one of more of these for yourself the links are below. And just so you know….Order placed by the 21st are guaranteed delivery by Christmas. Click here to go to the Single-Purchase ArtStore. Click here to go to the Multi-Purchase Artstore. Print article This entry was posted by puttzy on December 15, 2010 at 1:16 pm, and is filed under Personal, Sports. Follow any responses to this post through RSS 2.0. You can leave a response or trackback from your own site.